Hello there! Today marks the start of another Digital Dozen theme week. 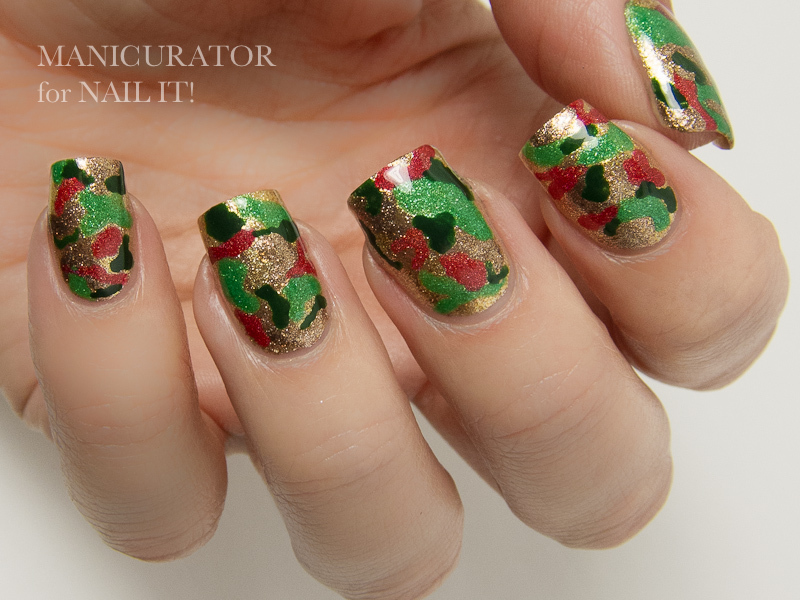 We decided to have a simple tri-color this month in traditional Holiday colors of red, green and gold. This was created specifically for a Nail It! Magazine tutorial (check it out on their website, coming soon!) but it was no accident I used these colors for Digit Dozen week! 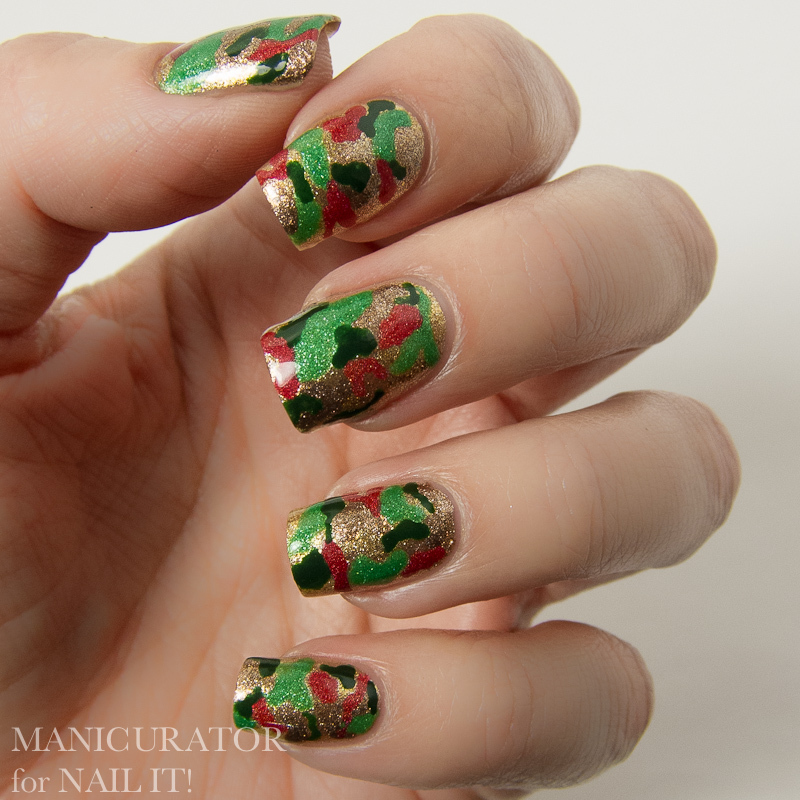 I used China Glaze golds, Rescue Beauty Lounge Recycle, and FUN Lacquer Decentber and X'mas Tree. Such a fun mani! Love this look. Thermal! Awesome! I should have thought of that. Plus, making this camo was just the most amazing idea. It's like... holiday bootcamp. Very cute! 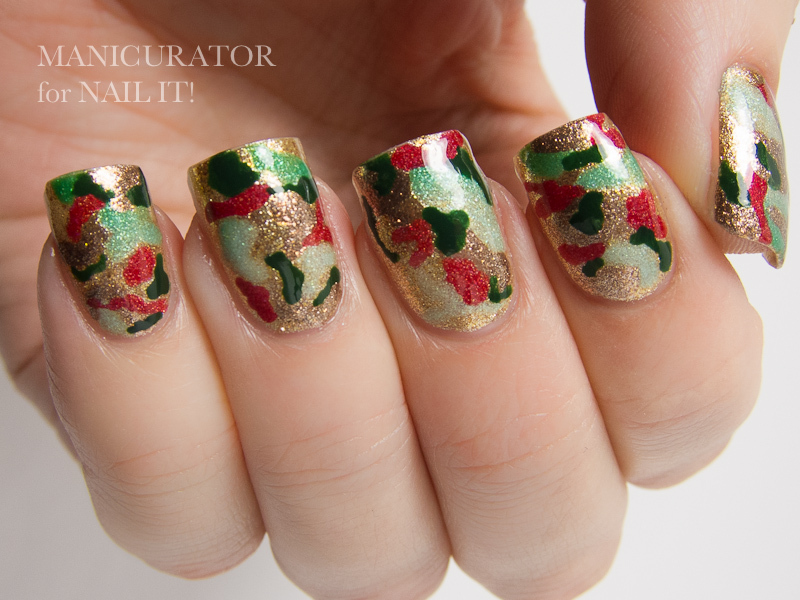 Camo nails always intimidate me, they seem like they would be easy but would actually be quite hard to do! I love camo, and it never occured to me to do Christmas Camo! I must recreate this for the holidays - MUST!